Grab it while you still can! Ecobee appears to be retiring this model. There is now an ecobee3 lite (reduced accessory support) and a new full model, the ecobee4 (similar to the 3 but with Alexa built in). Ecobee3 stock still exists – and usually at a price comparable to the lite – but don’t expect it to survive the holiday rush. Get yours now! Meet the ecobee3! Wall unit (black) shown with accompanying sensor (white) and phone app. (Optional power kit included in box but not shown). See current stock and prices on Amazon.com. Room sensors, a slick design, usage data from the free HomeIQ service, easy scheduling, and exceptional control over your HVAC system make the ecobee3 a winner and our top smart thermostat since the device’s debut in 2014. The ecobee3 is Alexa enabled, too. If you have an Amazon Echo or Echo Dot in your house, you can give a command in the form of, “Alexa, set my bedroom temperature to 64” or “Alexa, increase the temperature in my home” to adjust your home’s temperature without opening an app or touching the thermostat. We’ve always had a soft spot in our hearts for Toronto-based ecobee, makers of WiFi-enabled thermostats since 2009 (official website). The ecobee company likes the same things we do in a thermostat: iron-clad control over HVAC features, simple but useful hardware design, touch screens, easy installations, and good usability. 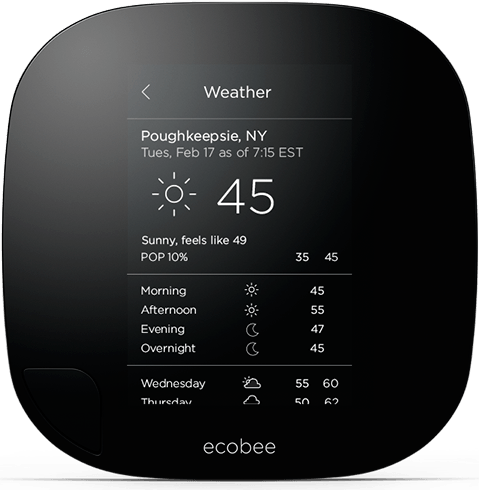 ecobee3 features a touch screen with temperature slider, humidity, current temp, current mode, and buttons to access settings. 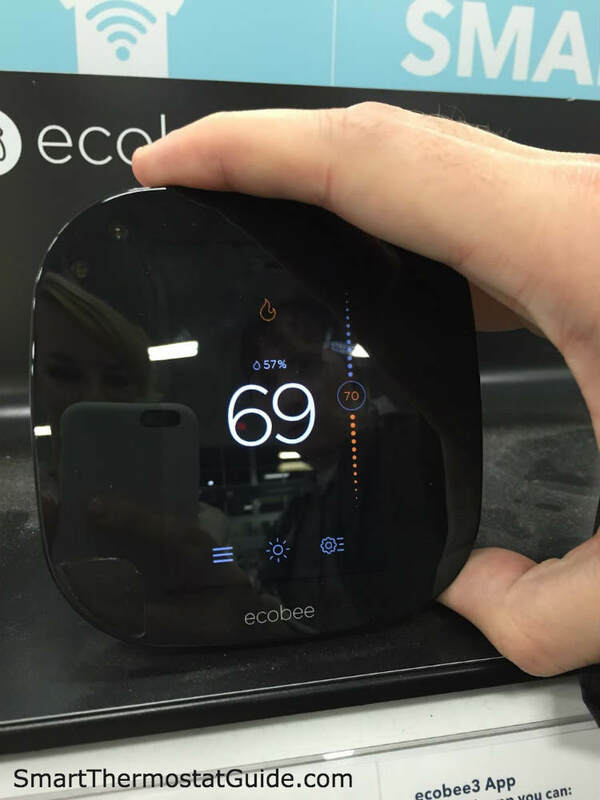 If this is the first you’re hearing of ecobee, you can be forgiven – Nest and Honeywell have been hogging the spotlight, but ecobee’s been quietly pumping out quality products since 2009, starting with the “ecobee Smart” (read our review of the original ecobee thermostat here) and its pint-sized successor, the “ecobee Smart Si” (amazon.com link). Despite their age, the ecobee thermostats have long been a favorite of ours. 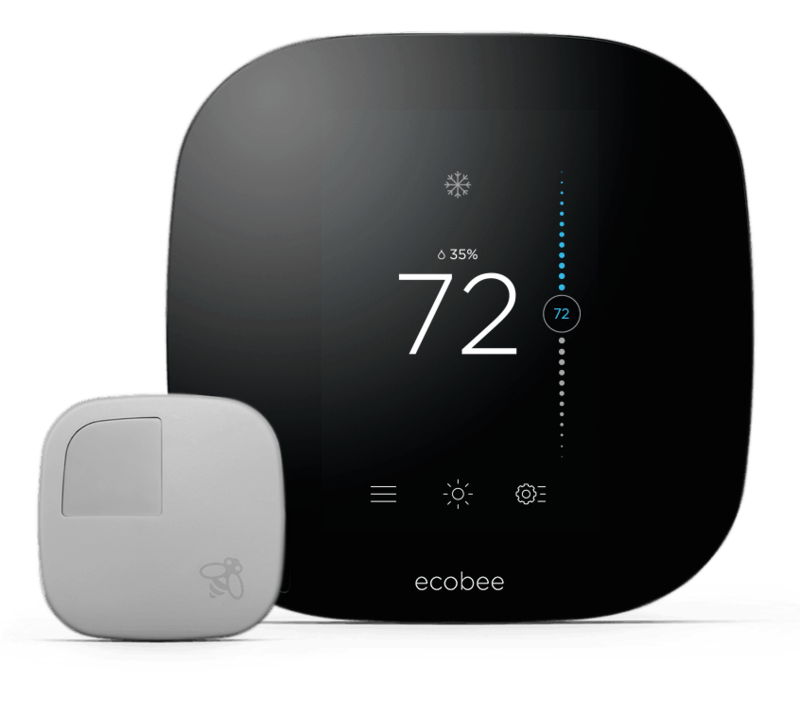 Announced September 2014, this smart-looking smart thermostat has modernized ecobee3’s design sensibilities and paired them with the same set of features that have always made ecobee a favorite. This stylin’ square-with-rounded-corners sports a capacitive touch screen, DIY-friendly installation process, temperature/motion sensors to place around your home for more accurate readings, and the same data-tracking goodness we loved in earlier models. Also: kudos to Ecobee for passing on the temptation to add yet another puck-shaped thermostat to the market. While everyone else confuses Lyrics with Nests, ecobee gets to stand around looking great – and unique. Let’s take a closer look at what makes the Ecobee3 so special! Honestly, we’re in love. This is the thermostat we’ve been waiting for! It looks and feels like a smartphone app mounted to the wall. We’re pretty technically inclined, so we’d rather program an explicit schedule instead of letting it “learn” (like the Nest), and we think the motion/temperature sensors are a great idea. We like the app and the interface. ecobee3’s tiny room sensors detect motion and temperature wherever you place them. 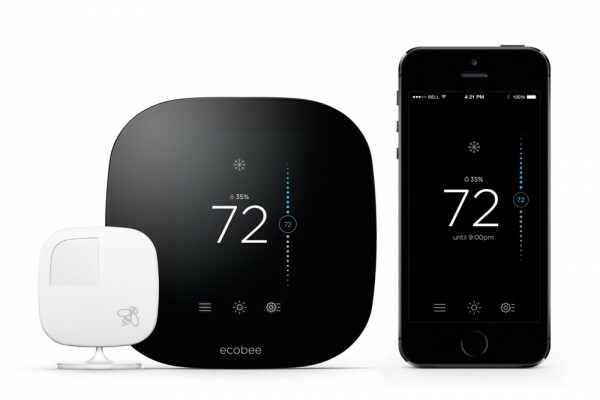 One sensor is included with the ecobee3 thermostat unit and more can be bought separately. Another cool thing about the sensors: there are three ways to prop them up. They can be wall-mounted with a screw or a sticky pad, or propped up on an included plastic stand. Then run on batteries, not wires, so you are free to put them anywhere you like (it’s not recommended you point them at a television or put them in direct sunlight). The web dashboard is nicely laid out and easy to navigate. We love that it uses the same general design language as the on-unit interface, so once you get used to managing the device from the web app or the unit itself, the other is pretty natural. 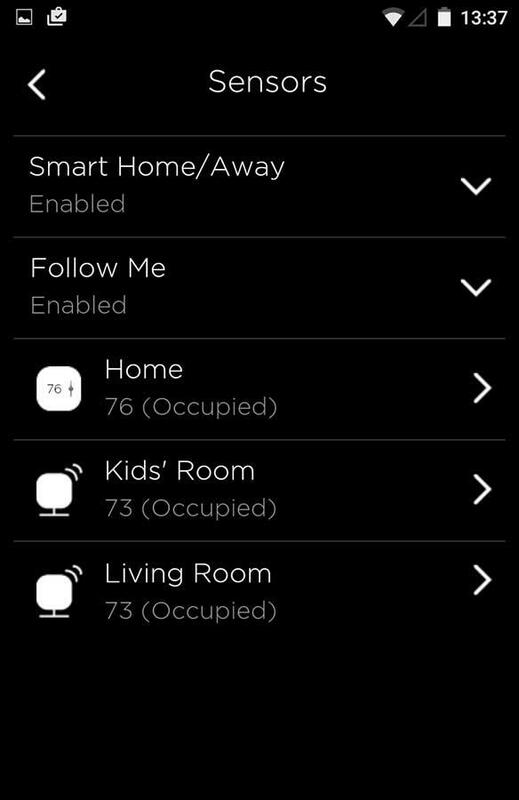 Home IQ (usage data and analytics) was added shortly after the ecobee3’s launch and it is easily our favorite feature (read more about Home IQ later in this review). To connect your Ecobee3 to Alexa, follow these instructions: Connect a Smart Home Service to Alexa. The interface is beautiful and functional. It’s smooth and responsive, and the interactions are intuitive to anyone who has used a smartphone. By default, the screen shows the current temperature, but it’s easy to slide the screen down to reveal the main menu. 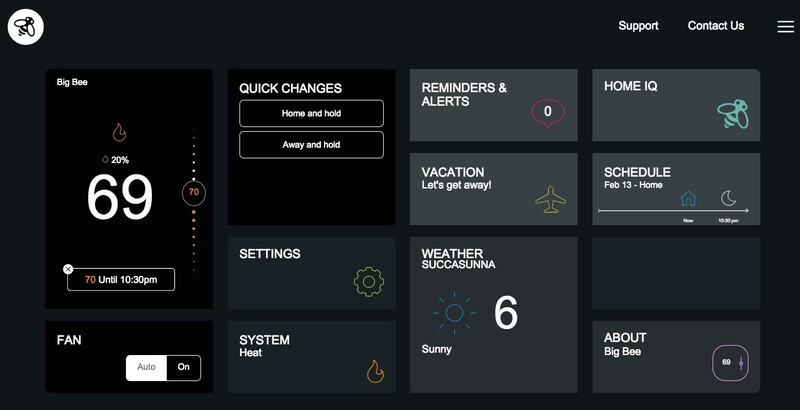 From the main menu, you can control the thermostat the same way you would through the app on your phone. The weather screen is particularly nice: see the current time, temp, humidity, and forecast for the rest of the day right there on the unit. 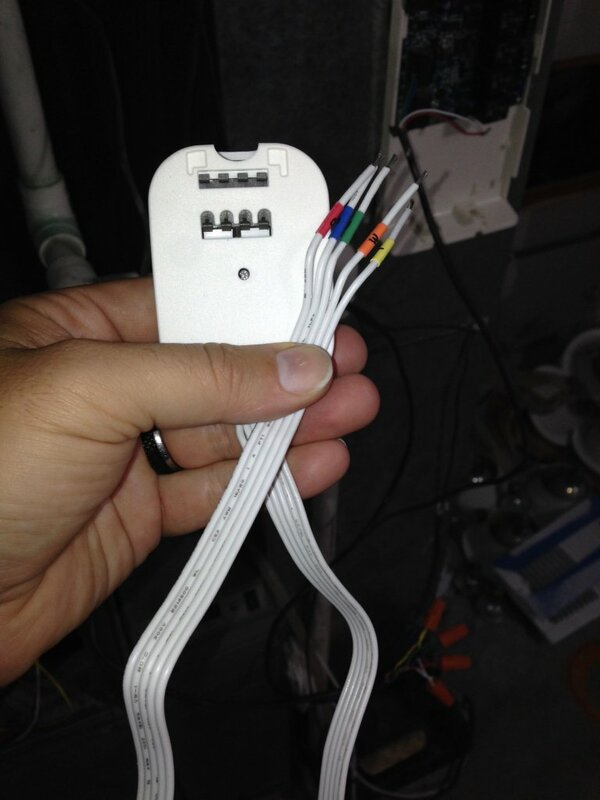 Installation is easy if you already have a C-wire in place. If you don’t, an adapter is included and a few more steps to do. Either way, the instructions are easy to follow and you don’t need any specialized tools. Unlike its competitor the Nest Learning Thermostat, the ecobee3 doesn’t rely on “power stealing” to make up for a lack of a C-wire (read more about that here on ecobee’s site), they just include a power extender kit to make up for the missing wire. Read more about the C-Wire here. Just to illustrate it a bit, let’s say your family room is an icebox even though your bedrooms are warm. Placing a sensor in the family room and telling your ecobee3 to get that room up to a cozy temp isn’t going to somehow not direct heat to the bedrooms in the process. What you’ll end up with is a comfortable family room, and roasting bedrooms. Some companies are trying to address this problem, most notably Activent (selling a complete system for your home) and Keen Home (which was successfully crowdfunded but still in development), but the ecobee3 sensors alone cannot do much for “targeted” heating. 99% of the time, the touch screen is awesome. If you want to do something really fine-tuned, though, like slide the temperature slider just 1 degree, it can be difficult to get that level of accuracy on the screen. Yeah, this is in our “wins” category too – we like that ecobee recognized that a lot of homes don’t have a C-wire – but tinkering with furnace wiring might be more than some people bargained for. To install it, you have to open up your furnace and hook the existing wires into the kit and hook the kit into the furnace. This won’t be a big deal for most people, unless your furnace is hard to get to, or just weird, or you’re afraid of popping it open. Your DIY install might not be so DIY if your furnace presents some challenges with the PEK. Here’s a list of the ecobee3’s features, and why they matter. Here it is – the biggest reason most people hop on the smart thermostat bandwagon. If you’re one of the (vast) majority of people who just leave your thermostat set at one temperature 24/7, you’re in for a treat next billing cycle. By automating temperature swings (don’t heat the house so much while you’re out, don’t run the AC during the workday), you won’t even know the difference and your energy savings could be huge – enough to offset the cost of the thermostat in as little as one season. 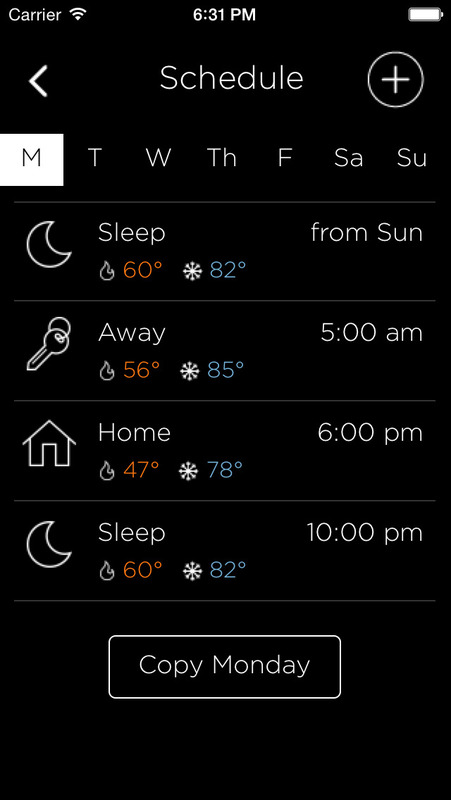 ecobee3 shows a weather report on-unit, broken down by day and possibility of precipitation (POP%), with a clock and location included (for those of you with so many houses you need help remembering where you are). The ecobee3’s algorithm is sophisticated enough to take outdoor conditions into account when heating or cooling your home in anticipation of your return. For example: on an exceptionally hot day, it might start the cooling process sooner in order to have the house at your desired temp by your scheduled 7pm return home. If you’re taking the day off, taking a weekend trip, or otherwise doing something besides your usual routine, you can override your ecobee3’s schedule on the device itself or through the companion app. So you don’t forget to clean your filter once in a while. Previous ecobee models were (more or less) intended for professional installation. This model was designed with a “45 minute install” in mind. To help with that, the ecobee3 has the ability to auto-detect your wiring setup and configure itself accordingly. The ecobee3 also comes with 2 wall plates (small and large) to cover up any mismatched paint that might exist behind your current thermostat, so you don’t necessarily have to repaint around your ecobee3. Nest and Honeywell Lyric aren’t so great about giving you control over cycle times and swing ranges. Many users won’t want control over these things, but if you do, Ecobee thermostats tend to offer the most control. 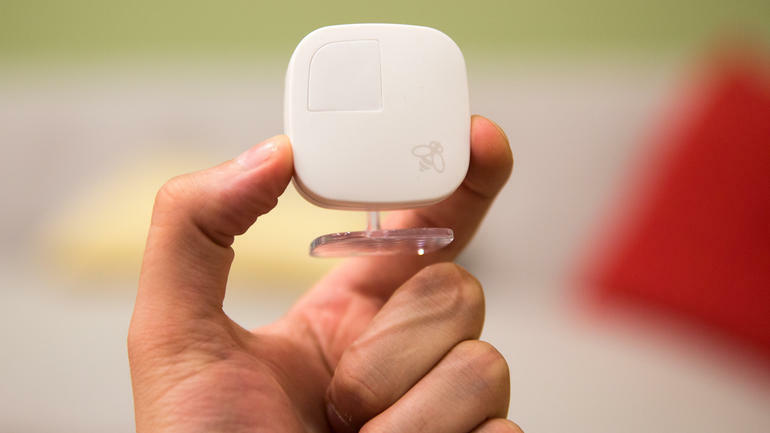 The sensor can detect what room you’re in and it can read that room’s temperature and tell your HVAC to run longer (or stop running) once that room is at the temperature you desire. If you have a crazy huge house, you can add up to 32 sensors to your ecobee3’s system. Check current sensor prices and stock status on Amazon.com. Unfortunately, in the current version of the app you can only see the averaged temperatures, not each room’s temperature. We’re hoping ecobee will add support for checking individual rooms. This is true of all the most popular smart thermostats on the market today, but it’s worth pointing out that all these great features are yours with a one-time purchase. No subscriptions necessary. Rather than wait for it to “learn” your routine or futz around with geofencing ranges, which rely on the geographic position of your family’s smartphones, the ecobee3 comes with a schedule pre-loaded. “Here you go – a schedule that works for most people.” We think that’s a great way to get people started with a programmable thermostat. 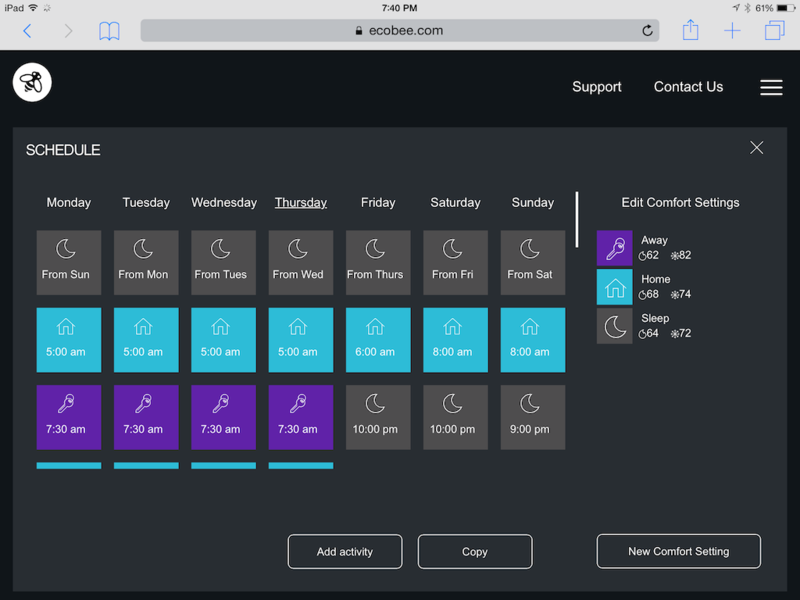 If for whatever reason the built-in schedule doesn’t suit your needs, it’s easy to change. Editing the ecobee3’s schedule is painless, even through a phone app. Alerts are a great way to keep an eye on your house when you’re not around. 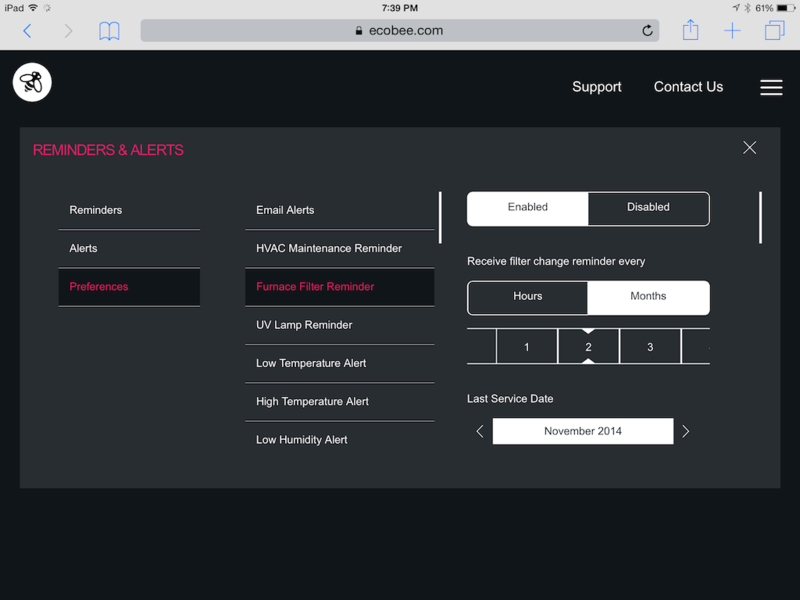 Alerts can be displayed on the hardware unit (optionally) and/or emailed to your email address (optionally). You can choose which alerts you want and set the rest to OFF. Smart Recovery is how your ecobee3 learns how long your heating and cooling systems take to reach the desired temp. If you want the house to be 68 degrees F by 7:00am and it takes your house 25 minutes to reach that temp from 58 degrees, your ecobee3 will fire up your furnace at 6:345 with no assistance from you. ecobee3 lets you prevent unauthorized users from changing the schedule or settings by letting you set up a 4-digit access code. The Home IQ data reports were our favorite feature and we’re thrilled to see them return with the Ecobee3. We love seeing monthly heating/cooling summaries, influencing factors such as the weather, and an estimate of your savings. For competitive folks, the ecobee compares your system’s runtime against similar homes (sq. footage) in your state. Monthly comparison – Example: “In February, your average heat setpoint was 71.2 degrees Fahrenheit. This was 0.4 degrees warmer than the previous month. So, the bad news is the ecobee3 seems to be going away. It’s no longer included in the Products dropdown on ecobee’s own website and it’s not in their store. If you want to “touch before you buy”, your local Best Buy might still have them on display. We haven’t seen them at BestBuy.com in a while, but our local store had a functioning ecobee3 unit last we checked. No matter where you buy from, you should buy soon: the 2017 holiday rush is going to crush existing supplies and it looks like ecobee isn’t making any more 3s. 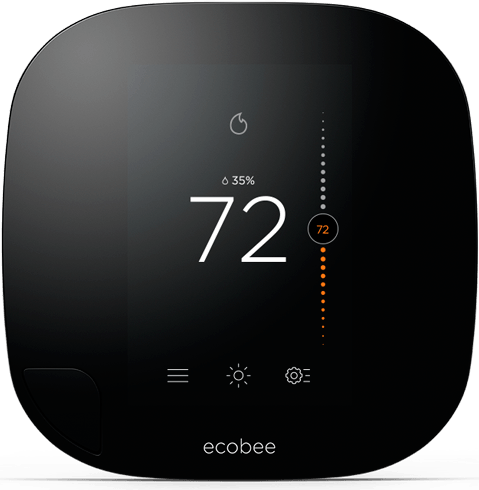 The ecobee SMART WiFi Thermostat (EB-STATe3-O2) is our #1 recommended thermostat, and for good reason. The touch screen is beautiful and intuitive, the data reports give great insights into your usage patterns, built-in schedule and easy install get you up and running, and the room sensors help you get what you really want out of a thermostat: a more comfortable home. Even better, this thermostat is easy to set up in homes with and without a C-wire. In short, we love it and we tip our hats to ecobee for this stylish and smart update to their product line. I recently purchased the ecobee3 and can say that it is a beautifully designed product and was a breeze to install and setup. I looked at the Nest and Lyric prior to making my decision and ultimately went with the capacitive touch screen ability of the ecobee3. Great product. Love it so far. Great review. Just a note about the sensors. You should never end up with a roasting or freezing room if you have your dampers set correctly. The system will average the temperature at each sensor to try to obtain a happy medium in both while prioritizing for occupied locations. So unless you have your dampers all wrong, it should be able to maintain a comfortable temperature at each location. This is one of the best thermostats I have ever used and an amazing investment for those that wish to try!! A wonderful product before the refresh… The ecobee 3, however, clearly hits it out of the park. A well done overview and unbiased review of the operational features of the Ecobee3. Very thorough review. I love my Smart thermostat but maybe it is time to upgrade to the ecobee 3. Truly a wonderful product that makes life easier! Thanks for the thorough review! Great review. Quite comprehensive, and relevant to the average consumer ready to make an investment in a smart thermostat. Any of the ecobee thermostats are worth it.I’ve had mine for about a year now. Utilities have gone down 10 percent. This really is an amazing Thermostat! It has revolutionized the comfort levels in our home and made my wife rest easy at night knowing that the temp in our children’s rooms takes priority in our house. What a great approach to home comfort. Two thumbs up!!! Loving my ecobee 3 – the remote sensors alone put it ahead of nest!! I would have been nice if there was an upgrade path for owners of the older Ecobee thermostats. HVAC equipment aren’t devices that most people upgrade like they do their phones. I work in the commercial HVAC controls industry. I have installed, programmed and designed commercial systems that function similarly to the Ecobee3. I must admit that this is an excellent product. I purchased the thermostat and added two remote sensors. I could not be more impressed. It really does work well, in many cases better than some commercial products on the market. I would highly recommend it to anyone and hope that they start producing commercial products in the future. Wow! Thank you for coming by and sharing your expertise, Ken! It’s great to hear from HVAC pros like you. We have recently purchased a double story house with an old thermostat on the landing upstairs. The unit is a central split air conditioning system (no heating as tropical). Which of the 2 would you recommend out of Nest and Ecobee3? I like the idea of being able to add a thermostat downstairs to the Ecobee3 but at the end of the day the whole house will still be coming on and off despite the different locations so not convinced this will make much difference to our bill. Nest sounds a bit “smarter” in that you do not require a fixed schedule either which is really nice. Both sound so similar only Nest only has one thermostat vs many. What would you as an expert suggest? I have worked in the commercial HVAC controls industry for over 20 years. I purchased the Ecobee thermostat because of the remote sensor control. I had a good commercial touch screen stat but it only controlled to the temperature in the hall. My house is just one story but with 5 bedrooms, 2 living rooms etc, the temperature in the house varys 5 or more degrees and would be hot in the kitchen, cold in the living room but just right in the hallway and family room. After installing the Ecobee with several (4) remote sensors I was very impressed with how all rooms are now comfortable. Even more surprising was how much the utility bill went down. I have no experience with the Nest. I think the Nest is the best looking star on the market with Ecobee in second place. However the Nest has the same problem as my old commercial stat which is that it only controls to the one space. The motion sensors on the remote Ecobee sensors allow the stat to keep you comfortable in the room or rooms you are actually using. After using the Ecobee I can’t imagine using anything else. I believe the Ecobee will be even more effective in a multi story house. To make a long story as short as possible the Ecobee isn’t quite as pretty but it will provide the best performance possible with your existing equipment both in terms of comfort and the efficiency/cost of operating your equipment. I finally found a thermostat that satisfies my need for gadgets and my wife’s desire to have the system behave logically! Our work schedules (different each day) result in the need for a complex schedule, and sometimes we are home when we didn’t plan to be or away when we thought we’d be at home. The Ecobee3 handles all that and made my wife think I’m a genius! This is a well-written review of a great product. Thanks for covering the pros/cons and getting in depth with all the features. An absolutely beautiful thermostat with a high level of user control and smart features. 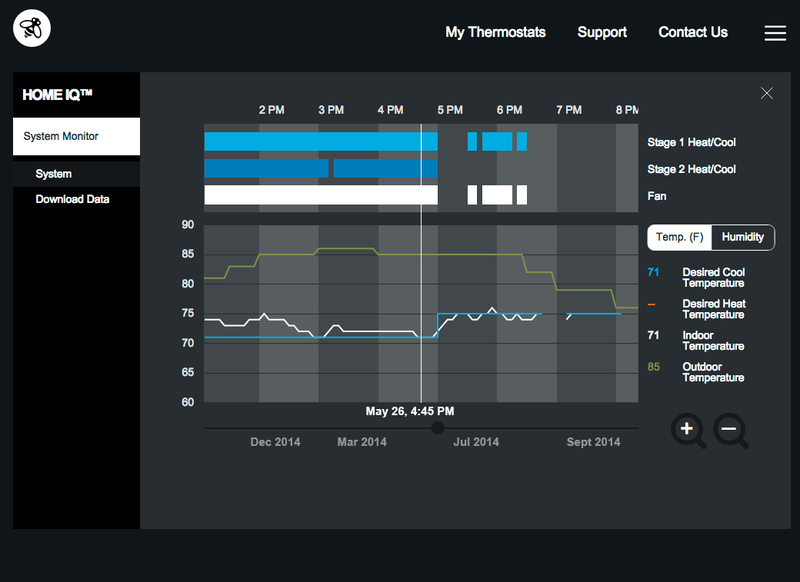 The ecobee lets you take temperatures from multiple rooms and setup a schedule in a couple minutes. There is no learning period for the device and it does a great job of tracking your movements through monitored rooms. I have a very old hvac system and while installation, which I did my myself, took longer than what is typical the nice people at ecobee were very patient and friendly in their support. This is truly a great product and company. Thanks for the review. Do you know how it handles dual fuel systems? My current basic thermo allows me to set a minimum outdoor temp at which the heat pump will run. When it gets colder than this point outside it switches to gas. Does this unit handle this situation? I have two 3.5 ton units that are pretty new. My main consideration for purchase is the sensors. Remote sensing is a must and dual fuel config is a must. Any ideas if it can handle it? This is a great review which helped me decide to actually purchase the Ecobee3. So far I love it. Thanks, Chris! I’m so glad you love it! Did the install go smoothly? Just installed the Ecobee3 yesterday in our home: Single Story – 4 bedroom. Loving the ‘remote wireless sensor’ to be placed in room of your choice for accurate whole home temp reading! This thing is very intuitive yet very simplistic in it’s use. So glad my A/C guy recommended got it for us. He had never installed one until now. We are BOTH impressed. And my brief contact with customer service was great! Awesome review, so detailed and objective. I had two Nest thermostats for about a year, they ran about 2 degrees Fahrenheit warmer than actual temperature. After going back and forth with support, and replacing both under warranty, I pulled the two Nest thermostats out of my house and sold them on eBay. 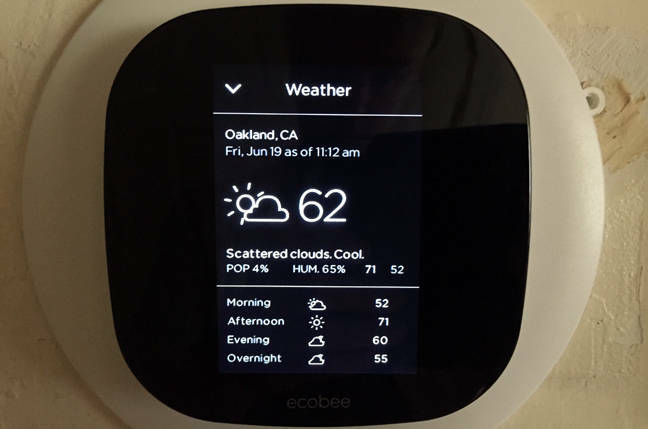 When the ecobee3 hit the market I gave it a try, 30 days into it, I have no issue, the temperature averaging is a big hit, allot more comfortable when running heat, or ac, no more temperature swings. Super user friendly app and thermostat. Amazing Product from flawless design to the very easy user interface and website. 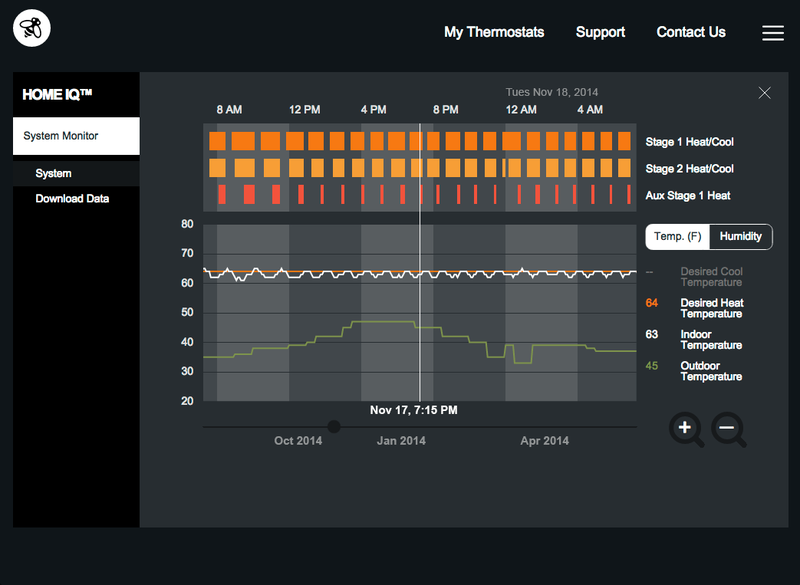 Our Ecobee3 works VERY WELL with our fireplaces and furnace. I closed the air dampers in the rooms with the fireplaces and place remote sensors in cold parts of the house. It balances the heat. I’m cheap, but would buy again without hesitation. Super slick, good job Ecobee. I love my Ecobee. Think it is very nice looking and easy to use. I installed it myself and found it very easy to do. I have to say that even after owning the ecobee3 this review educated me even further of all the features. Just installed mine, and it is working great. Great review! Very informative and thorough. I just installed my Ecobee 3 and was surprised on how easy the whole process was. Using the supplied Power Extender Kit and provided instructions, I had no issues during the 30 minute (1993 furnace). Ecobee 3â€™s feature set is amazing and Iâ€™m continually learning new things with this amazing product. If youâ€™re in the market for a smart thermostat, this one is for you! I looked at Nest, Lyric, and other connected thermostats before making the hop to the Ecbobee3. I love the features and convenience of being able to control the temperature and other settings while away from home. I’ve got a couple in the mail. Can’t wait till they arrived. Delayed possibly 7 days because of Black Friday buys. love this thermostat.. total control from anywhere.. of course they can improve it, but that is the great thing about the wifi connection. updates when needed. I bought the nest cause it was 199 and I’m going to return it and buy the ecobee. The nest has a option for early on for schedule well of course I want the thermostat to heat house up before my schedule time if not I would buy a 20 dollar thermostat and set temp when I get home.and the usage data is pointless. I have ecobee3 for about a month, and I love it. Set up was a bit tricky, as I had only 4 wires available so I had to use a provided PEK. But after that it’s been really smooth experience. Love the ability to control it on my smartphone! Great product! I’ve really enjoyed it so far. Ive offered some product feedback to ecobee and they have been very responsive. Ecobee has been a great product to sell for us and have had great reviews from our customers, love it!!!! Hopes of an easy install was biggest seller for me. Plus the one-on-one customer service can’t be found anywhere else in regards to thermostats. I hope as ecobee grows(and surely it will be) they don’t lose sight of how important customer service satisfaction is. Totally want an ecobee3. Looks awesome! Great review! I switched from Nest to an ecobee3 back on October 1. The power extender was required for my install, and so the install took a little bit longer than I had experienced with my prior two Nest installs (original install and once when moving). I don’t consider myself to be Bob Vila, but I managed to get everything up and running in about a half an hour. The remote sensors have been a dream. Part of the reason for the switch was our move from a flat condo to a three-story townhouse. As the review notes, the remote sensors can’t make up for a terribly balanced system (which, thankfully, we don’t suffer from). But they do make a properly installed system much more “aware” of what’s going on in the house. The top floor gets a little colder, the bottom floor stays warmer. If I’ve been on the bottom floor for a bit, the ecobee knows to back off the heating a bit. And vice versa: if I’m on the top floor, it knows to turn up the heat and not worry as much about the vacant bottom floor getting a little warmer than usual. October was fairly seasonable, and our bill was down by around 25%. November was quite unseasonably colder than last year here, so our bill was up a bit. So far, December has been a bit colder than usual but our usage in on track to nearly halve. It’ll take a few more months to really have enough sample data to fairly judge the ecobee, but so far I’ve been quite pleased, both with its efficiency and its ease of use. If you’re looking for something a fair bit more robust than Nest, I’d highly recommend an ecobee. Love my Ecobee 3s. Replaced 2 Nest thermostats and couldn’t be happier. The remote sensors are just awesome! My two rooms (master bedroom and kid’s room) would always be hot or cold, but with the sensors, they are now comfortable. The app needs some improvement/added functionality, but I expect that is coming soon. If you need great thermostats, look no further. The best thermostat so far that I have had. Glad I chose it over Nest and Honeywell. I have been doing installs since 1979. Blows Nest away. I have a 3 yr old home and wanted to upgrade my thermostat. Last year I bought the Venstar T5800. Nothing but problems. The company basically ignores you and your problems getting the device to sync with the Wi-Fi. Recently I purchased the Ecobee 3 and couldn’t be happier. What a difference. I paid about the same for the Venstar and the Wi-Fi Key as the Ecobee 3. Such an improvement in product and Wi-Fi connectability, and user interface. I am so thrilled with my purchase. Thanks Smart Thermostat Guide and Ecobee! I just installed my Ecobee 3 and I am learning more about its capabilities each day. I can’t wait to see how it affects my energy usage in the coming days! Installation was straight forward and the app works seamlessly. If you are in the market for an upgrade on your old thermostat, this is the one for you! I am a few weeks into my use of the ecobee3 and like the capabilities so far. Great Review! You are more informative than the ecobee website on this thermostat! This thermostat is by far, the best I have seen.It would be nice though, to be able to heat individual rooms. This is the best thermostat on the market. Love the individual room sensors and the ability to easily control everything from my iPhone. This is the only thermostat I could find that would also control my furnace mounted humidifier. I also like the ability to create vacation schedules. Great review. I love my ecobee3. Can’t love this product more. Am very excited about the additional features that continue to be added by the large development team (400+). Can control my heat pump to a fine point now and and can clearly see when I’m using more or less energy and take actions to reduce my usage. I’ve had an ecobee3 for about a month now. They’ve already updated the website and improved Home IQ a few times. I can’t wait to see what’s next. Have had an ecobee3 for a few weeks now and really liking it. The cost of heating the coldest room could counterbalance the savings, but one of my main concerns was that my baby’s room seems to not heat or cool as well (all the upstairs bedrooms have this issue, but the baby’s room in particular), I like the ability to know that her room is not going to be too cold in the winter or too hot in the summer. Getting a separate zoned HVAC isn’t really a good option, so while it might counter-balance the savings, it’s a huge relief to know that the baby’s room will be a comfortable temperature while she’s sleeping. Love the ecobee3 so far. My ecobee blows the nest away. 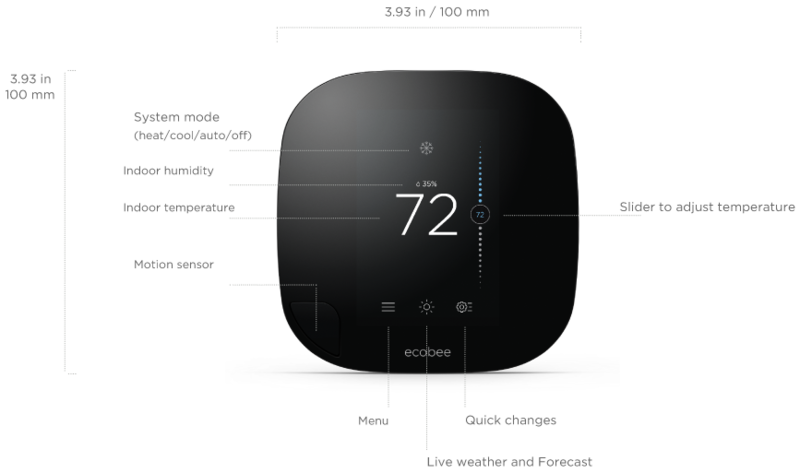 I hope ecobee can get the word out before they get buried by Google’s marketing machine. I recently installed the ecobee3 and really like it so far. The sensor comment in the article (being misleading) I think is not ture.. most consumer will know that your thermostat has no control over individual rooms of the zone. However I think ecobee should clarify that in the sensor descriptions. It is up to you to adjust the vents in the room to try to even off the heat. Knowing the temp and the humidity in my kids room is amazing and eye opening. I love this product so far. Excellent Review of excellent product! Simply elegant! Bought this last December and so far it’s been great. The Follow Me feature is nice and I appreciate all the subtle details as well as the control it gives you over most everthing. Can’t beat it for the price! IMHO, there is too much attention to the aesthetics of the interface, etc. This thermostat has made a positive difference in the comfort of our home. The feature that makes it all work for us is the fan control. You can set a minimum amount of time per hour the fan will run. When it’s cold outside, I have it on 30 minutes per hour and it balances temperatures throughout our 2 story house. I cannot say enough about how amazing this product is! There are a few things that sold me on it after purchasing it through intensive research on multiple Smart Thermostats out there. I love the calibration of the fan to run at certain intervals without having to turn on the compressor for cooling. Essentially, you are recirculating the existing air in the home by bypassing the most cost-hogging feature of your air HVAC. By seeing this live on HomeIQ – the website that shows you what your unit is doing – we have seen our costs drop dramatically. We also use our AC unit for dehumidifying since we do not have a dehumidifier. It’s called AC Overcool and draws its cooling from the AC only when you want it to be a certain level.I also love how I can dictate how to use my sensors to get the temperature I need in the entire home or specific to a room I’m currently using (or not for that matter). The other smart features are quite unique and intelligent too – Smart Recovery and Smart Home/Away. Integration with other Smart Apps/Hardware are partially here and on the horizon that I’m psyched by what else we will be able to do in the future. Besides, purchasing an energy-efficient home, this was the best investment we have made to lower costs, save energy, and feel comfortable 24/7. Based on my extensive troubleshooting over the past few weeks with the Ecobee, I’m revising my review. A large section of this review is one of my most recent emails to their tech support because that email documents my findings which are still consistent with the intial review. In summary, I recommend this product with reservations. It has some really nice features, and many people seem to be having very good luck with it. In reading other reviews, I’m also seeing that a few people are seeing problems that are consistent with my findings and recommendations to Ecobee. THE GOOD: Attractive on the wall, can control basic functions from smartphone, works well for heating function. Remote sensors provide temperature and occupancy data for multiple rooms. Will overcool to adjust humidity. THE BAD: Temperature on main thermostat always reads 2-3 degrees high. It is not clear if the bias adjustment which is accessed via the menu applies to only the wall mounted sensor, or to the averaged temperature reading across all sensors. The wall mounted thermostat does not have many holes for ventilation, so temperature response is slow (side by side comparision with old mechanical thermostat). Not all functions are avalable via smartphone. No geo-fencing capability. Not possible to have different setpoints/ranges for specific sensors. Here is a very recent email to Ecobee support (after numerous interactions troubleshooting the last few weeks). I’m disappointed in your last email response saying that “we conclude there seems to be an air flow/draft influence affecting the t-stat sensor only.” This is simply not supported by the data and several tests that we have both reviewed over the past few days. Primarily, I direct you to a test from two or three emails ago in which I manually jumpered at the furnace to start the AC. With the jumper in place, the Ecobee wall thermostat showed a drop in temperature as soon as the AC turned on. Without the jumper–when the Ecobee thermostat itself calls for cooling–the wall thermostat shows an INCREASE in temperature. This test by itself shows that air flow patterns are not an issue. Additionally, for the last several days of testing I’ve placed the remote sensor and old thermostat mounted on the wall within inches of the Ecobee thermostat. Both the old thermostat and remote sensor show that the temperature in that location immediately goes DOWN when the Ecobee calls for cooling. The Ecobee3 wall thermostat (both the original I purchased and replacement you sent) shows incorrectly that the temperature goes UP when the Ecobee calls for cooling. This divergence in temperature at the same location also support the conclusion that the thermostat itself is the issue. For an additional test on my theory that the thermostat electronics are overheating, today I added a mechanical relay board (Temco MRB-4) to isolate the Ecobee thermostat from the furnace/compressor. This relay board serves to remove the compressor contactor load from the thermostat. You can see from this afternoon’s temperature trends, when the AC starts, the temperature reading of the wall thermostat drops as it should (exactly what happened when I manually jumpered the R-Y wires at the furnace). The thermostat FETs may be rated for 2 amps, but in practice the Ecobee wall thermostat overheats with a 0.25 amp load and shows an incorrectly high temperature. The reason this thermostat overheating problem is not seen during heating cycles is that the current draw for a heating call is near 0 amps. Still, the current draw of 0.25 amps for the AC contactor is well within acceptable range for residential AC equipment. There is absolutely no doubt that the Ecobee thermostat itself is getting hot (and producing inaccurate readings) when it turns on the AC compressor. I’ve spent significant time over the past several days testing, and most of my interactions with Ecobee support have been explaining basic testing results. I have an engineering degree and significant experience with process control instrumentation. I know how to interpret temperature readings and troubleshoot to identify cause & effect. I find it hard to believe that Ecobee support is having trouble interpreting these same results. I have read about other customers who have also been frustrated that their Ecobee3 didn’t work and that Ecobee support kept insisting this was due to “air drafts”. I have no interest in legal action personally, but to me this sounds like fertile grounds for a class action suit. Consumers who are also experiencing this issue will be receive higher cooling bills than they should. Adding more remote sensors would indeed help average the temperature readings and thus compensate for inaccurate readings at the wall thermostat–but this is passing along the expense of poor design to customers while generating even more revenue for Ecobee. At this point, I am going to research alternatives because I do not believe any further troubleshooting is going to be beneficial. If I do not find a better alternative, I may end up keeping the Ecobee thermostat since now with the addition of the MRB-4, that resolves the overheating problem. However, since I will have to use the bias adjustment to alter the wall thermostat reading, the remote sensor will not be of much use. This is really disappointing for a product that is so expensive. 1. Review the design of the thermostat. There is not enough ventilation on the wall thermostat. There are only a few tiny holes on the bottom of the thermostat, and thus the thermostat has a slow response to changes in room temperature. Additionally, this lack of ventilation on the thermostat contributes to overheating of the thermostat itself leading to inaccurate temperature readings. 2. Review the “complex temperature correction algorithms”. They’re not working. 3. Consider reworking the unit to incorporate mechanical relays instead of FETs. I first became aware of mechanical relay boards while researching this problem and finding so many Nest owners have experienced FET failures and consequently had to replace their AC system. Replacing FETs with relays will make the wall thermostat bigger, but it will reduce issues with overheating and will greatly reduce the risk of AC system damage due to FET failure. 4. Review support procedures and training. The tests I conducted and conclusions are fairly basic for anyone with control system experience. I will give Ecobee the benefit of the doubt that the support team is not knowledgeable, rather than suggest that they are intentionally providing incorrect and misleading information. 5. IF there’s a way to specify temperature bias for individual sensors, please let me know. I have seen with two different Ecobee thermostats that the remote sensor reads correctly, and the wall thermostat reads too high. It appears if I configure a bias adjustment via the wall thermostat, it affects all readings, and not just the wall thermostat. More sensors simply provide more averaging to lessen the effect of the single incorrect reading on the wall thermostat, but that’s not a very good solution. 5. Add geofencing capabilities to determine if users are home/away. There are not many thermostats that offer this, this but I have found that relying only on the wall mounted thermostat and remote sensor to detect home/away is not sufficient. All in all, this thermostat has potential, but there are some fundamental design flaws which cause incorrect temperature readings and cause the AC to run excessively. I’ve tested two Ecobee3 thermostats and they both exhibit the same characteristics, so this wasn’t a fluke with a single defective unit. Although the Ecobee support team was responsive, it was frustrating having the same conversation with them repeatedly in which they insisted the incorrect temperature readings were being caused by air leaking from the wall cavity. I was able to prove this was not the case, and “fix” that issue by inserting a manual relay board to isolate the thermostat. I think this is beyond most consumers’ capabilities. I will probably end up keeping the Ecobee thermostat, simply because I don’t see other alternatives on the market that have fewer problems. My take is that the remote temperature sensors are just a gimmick for 99% of the people who will receive them. If the main thermostat works, then the rest of the house is typically going to follow once the air ducts are balanced properly. The only benefit I personally see for the remote sensors is to let the unit know I’m still at home if I don’t pass by the main wall unit periodically. Lyric handles this with geofencing on the smart phone, and Nest doesn’t have it but can be enabled by Skylark app. In the end, it’s important to figure out how the extra features are actually going to work for YOUR lifestyle. A useful feature for one person is a gimmick or even a nuisance for another. I did not purchase the Nest because for a few reasons. I have an irregular schedule and there’s no way that Nest could just figure it out. Nest has a 3 degree temperature swing–which is too large for comfort. Most importantly, I did not want a Nest thermostat because there are too many reports of FET failure which can cause the AC compressor to run for days/months nonstop and seize up (which means at least a couple grand to replace it on top of all the electricity wasted in the meantime). Can you share details how did you add relay? Can anyone confirm whether or not one can independently change the temperature of ‘home’ or ‘away’ for a particular day? Looks like a global change when you change any of these settings. Yes you can, use the interface through a web browser. I had my local HAC people install it for me. I love it and I have been saving $35-45 a month on my electric bill, and my house has been so comfortable. Anxious to see how it will work with iHome. I noticed in your Home IQ screenshot it shows heating staging. It looks like you might be using the stat on 2 stage heat-pump with AUX heat as well. I’m concerned about the repeated cyclical use of expensive AUX (electric heat). There is obviously enough capacity from the compressor alone judging by the off times between cycles. It appears it is too aggressive in its staging algorithm. It would be better to run the compressor a bit longer before bringing on the AUX. Can you comment on the adjustments to staging that are available, and if this behavior was typical? Note: I installed an Ecobee3 along with 3 remote sensors, at my workplace a couple weeks ago and am quite happy with it so far. Only small issue is that it seems very trigger happy on the “Smart Home” feature, and keeps going occupied early in the morning for no apparent reason. My work around is too ignore the main stat sensor from 4am to 7am due to workshop employees cutting thru the office and triggering occupancy. Personally, I’ve been a Nest user since gen 1, however, I’m somewhat interested in joining the Ecobee3 crew. Reading your reviews is definitely starting to push me over the edge.